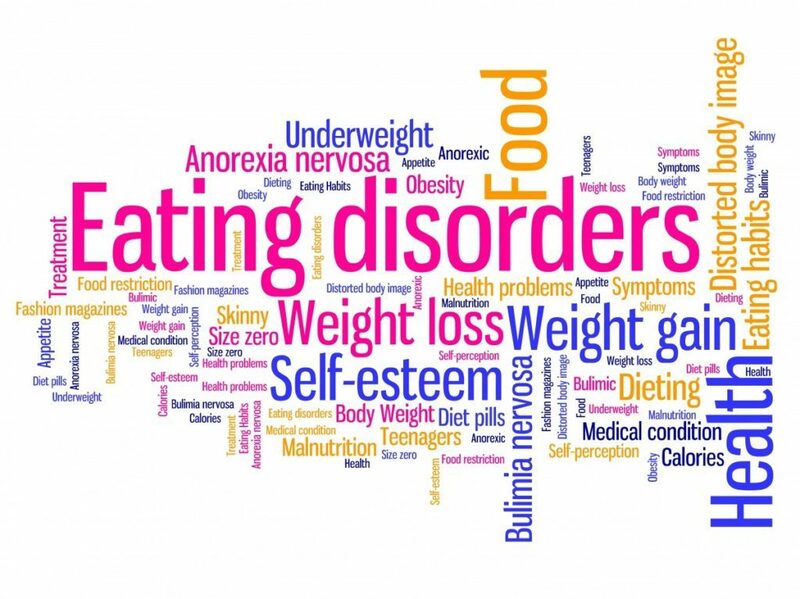 Just like addiction, there is a need to view eating disorders as a public health concern and just like substance use disorders, there are myths and stigmas surrounding eating disorders that must be overcome in order for those people in need to seek necessary help in order to recover. So, what is an eating disorder, what are some of the eating disorders people suffer from and what can be done to help those in need? Anorexia Nervosa is an eating disorder with the main characteristic being self-starvation that includes an extreme preoccupation with weight gain or weight loss. Sufferers are fixated upon a distorted view of their bodies which can lead to extreme attempts at controlling or losing weight, including starvation, excessive exercise or the use of laxatives, diet pills or other medications. Bulimia Nervosa is an eating disorder that typically deals with overeating within a short time frame (known as binging) and then either vomiting or taking laxatives to immediately (known as purging) in order to get rid of the food quickly so as not to gain weight. Sufferers of bulimia typically have a distorted body image and tend to see themselves as overweight and therefore undesirable to others and the outside world. Bulimia can also give the individual a sense of control. Bulimia is an eating disorder with emotional, psychological and social roots and can often can lead to massive health problems. Binge eating disorder involves an obsession with food where the sufferer has uncontrollable impulses to eat. It is an eating disorder that involves feelings of control, self-esteem and self-worth and is closely tied to compulsive overeating and/or food addiction. For those individuals suffering from eating disorders, comprehensive treatment and therapy is needed in order to recover. Individual treatment needs must be met that include psychotherapy, nutritional education, behavior modification and sometimes medications such as antidepressants, antipsychotics or mood stabilizers. Just like other behavioral health issues, individuals and families that suffer from eating disorders stand a much better chance of sustainable recovery if they receive long-term ongoing treatment through a continuum of care. Here at Maryland Addiction Recovery Center, we often see a close relationship between eating disorders and substance use disorders, with many patients being dually diagnosed with both illnesses. Additionally, what can often happen is when a patient is in treatment, once they have been detoxed and engaged in treatment for a period of 30 to 90 days, food issues and characteristics of an eating disorder will present. Due to the fact that all substances have been out of their system for some time, a patient will begin to “feel” again and experience emotional mood swings, anxiety, depression, fear, nervous energy, self-esteem issues, self-doubt or other similar feelings. Without drugs or alcohol to numb those feelings, an eating disorder may begin to present as the patient begins to deal with those feelings and regain a sense of control for themselves. Therefore, it is vitally important that a patient be in a long-term comprehensive clinical treatment setting in order to safely and adequately deal with those issues and be given the tools necessary to learn to deal with their lives and their feelings in a healthy manner. If you or someone you know is in need of help because of drug and/or alcohol abuse or addiction, please give us a call. Maryland Addiction Recovery Center offers the most comprehensive dual diagnosis addiction treatment in the Baltimore, Maryland, Washington, DC, Philadelphia and Virginia area. If we aren’t the best fit for you or your loved one, we will take the necessary time to work with you to find a treatment center or provider that better fits your needs. Please call us at: (410) 773-0500 or email our team at info@marylandaddictionrecovery.com. For more information on all of our drug addiction and alcohol addiction services and recovery resources, please visit our web site at www.marylandaddictionrecovery.com.